On May 1, 2010, a terrorist attack was attempted in Times Square in Manhattan, New York. Two street vendors alerted NYPD after they spotted smoke coming from a vehicle, and a car bomb was discovered. The bomb had been ignited, but failed to explode, and was disarmed before it caused any casualties. Two days later, federal agents arrested Faisal Shahzad, a 30-year-old Pakistan-born resident of Bridgeport, Connecticut, who had become a U.S. citizen in April 2009. He was arrested after he had boarded Emirates Flight 202 to Dubai at John F. Kennedy International Airport. He admitted attempting the car bombing and said that he had trained at a Pakistani terrorist training camp, according to U.S. officials. Shahzad was arrested approximately 53 hours after the attempt,  at 11:45 p.m. EDT on May 3, 2010, by U.S. Customs and Border Protection officers. He was arrested at John F. Kennedy International Airport, after boarding Emirates Flight 202 to Dubai. His final destination had been Islamabad, Pakistan. United States Customs and Border Protection (CBP) is the largest federal law enforcement agency of the United States Department of Homeland Security, and is the country's primary border control organization. It is charged with regulating and facilitating international trade, collecting import duties, and enforcing U.S. regulations, including trade, customs, and immigration. CBP is one of the largest law enforcement agencies in the United States. It has a workforce of more than 45,600 sworn federal agents and officers. It has its headquarters in Washington, D.C.
John F. Kennedy International Airport, colloquially referred to as Kennedy Airport, JFK Airport, New York-JFK, or simply JFK or Kennedy, is the primary international airport serving New York City. It is the busiest international air passenger gateway into North America, the 22nd-busiest airport in the world, the sixth-busiest airport in the United States, and the busiest airport in the New York airport system; it handled just over 59 million passengers in 2017. More than ninety airlines operate from the airport, with nonstop or direct flights to destinations in all six inhabited continents. A weapon of mass destruction (WMD) is a nuclear, radiological, chemical, biological, or any other weapon that can kill and bring significant harm to a large number of humans or cause great damage to human-made structures, natural structures, or the biosphere. The scope and usage of the term has evolved and been disputed, often signifying more politically than technically. Originally coined in reference to aerial bombing with chemical explosives during World War II, it has later come to refer to large-scale weaponry of other technologies, such as chemical, biological, radiological, or nuclear. Waziristan is a mountainous region covering the former FATA agencies of North Waziristan and South Waziristan and now districts of Khyber Pakhtunkhwa province of Pakistan. Waziristan covers some 11,585 square kilometres (4,500 sq mi). The area is populated by ethnic Pashtuns. It is named after the Wazir tribe. The language spoken in the valley is Pashto, predominantly the Waziristani dialect. The region forms the southern part of Pakistan's Federally Administered Tribal Areas, which is now part of Khyber Pakhtunkhwa province. The University of Bridgeport, commonly referred to as UB, is a private, independent, non-sectarian, coeducational university located in Bridgeport, Connecticut. The university is accredited by the New England Association of Schools and Colleges (NEASC-CIHE). The students of the University of Bridgeport are from 80 countries and 46 states. In 2010, the percentage of students graduating that had participated in an English as a foreign or second language (ESL) program was one of the nation's highest at 5%. Dhahran is a city located in Eastern Province, Saudi Arabia. It is a major administrative center for the Saudi oil industry. Together with the nearby cities of Dammam and Khobar, Dhahran forms part of the Dammam Metropolitan Area, which is commonly known as greater Dammam and has an estimated population of 4,140,000 as of 2012. Abdullah el-Faisal is a Muslim cleric who preached in the United Kingdom until he was convicted of stirring up racial hatred and urging his followers to murder Jews, Hindus, Christians, and Americans. The 2003 Casablanca bombings were a series of suicide bombings on May 16, 2003, in Casablanca, Morocco. The attacks were the deadliest terrorist attacks in the country's history. Forty-five people were killed in the attacks. The suicide bombers came from the shanty towns of Sidi Moumen, a poor suburb of Casablanca. Terrorism in Saudi Arabia has formerly been attributed to Islamic extremists. Their targets included foreign civilians— Westerners affiliated with its oil-based economy—as well as Saudi Arabian civilians and security forces. 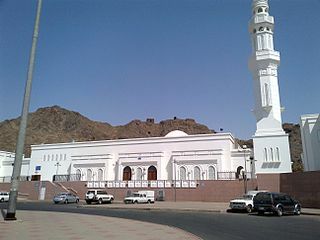 Anti-Western attacks have occurred in Saudi Arabia dating back to 1995. Saudi Arabia itself has been accused of funding terrorism in other countries, including Syria. 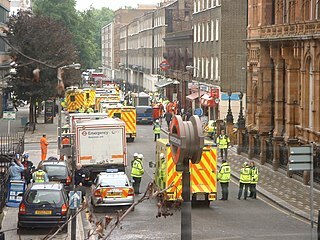 Mohammad Sidique Khan was the oldest of the four homegrown suicide bombers and believed to be the leader responsible for the 7 July 2005 London bombings, in which bombs were detonated on three London Underground trains and one bus in central London suicide attacks, killing 56 people including the attackers and injured over 700. Khan bombed the Edgware Road train killing himself and six other people. One Astor Plaza is a high-rise office building located in the Times Square area of Midtown Manhattan, New York City. The building is 54 stories tall and stands at a height of 745 ft (227 m). It was designed by Der Scutt of Ely J. Kahn & Jacobs. It is located at 1515 Broadway between West 44th and 45th Streets and is currently the headquarters for Viacom and houses the MTV Studios, Minskoff Theatre, PlayStation Theater, and some retail outlets. The Hotel Astor had occupied the site from 1904 to 1967. Construction of the building began in 1968 and was completed in 1972. The building was the headquarters of the W. T. Grant retail chain, which leased almost 400,000 square feet (37,000 m2) of space on the building's top 14 floors, but only occupied it for four years until their 1976 liquidation. The 2007 bomb plot in Germany, planned by the Islamic Jihad Union (IJU)-affiliated Sauerland terror cell, was discovered following an extensive nine-month investigation that involved more than 600 agents. Three men were arrested on 4 September 2007 while leaving a rented cottage in the Oberschledorn district of Medebach, Germany where they had stored 700 kg (1,500 lb) of a hydrogen peroxide-based mixture and 26 military-grade detonators and were attempting to build car bombs. A supporter was arrested in Turkey. All four had attended an IJU-training camp in the border region between Afghanistan and Pakistan in 2006. They were convicted in 2010 and given long prison sentences, but were released early. The Exeter bombing was a failed bombing attempt taking place on 22 May 2008, at the Giraffe cafe and restaurant in Princesshay, Exeter, United Kingdom. Nicky Reilly, 22, from Plymouth, pleaded guilty on 15 October 2008 to launching a failed suicide attack. The attacker was the only person injured. Qari Hussain Ahmad Mehsud was a top lieutenant in the Tehrik-i-Taliban Pakistan (TTP) and the organizer of the group's suicide bombing squads. He was a cousin of Hakimullah Mehsud. Najibullah Zazi is an Afghan-American who was arrested in September 2009 as part of the 2009 U.S. al Qaeda group accused of planning suicide bombings on the New York City Subway system, and who pleaded guilty as have two other defendants. U.S. prosecutors said Saleh al-Somali, al-Qaeda's head of external operations, and Rashid Rauf, an al-Qaeda operative, ordered the attack. Both were later killed in drone attacks. The High-Value Detainee Interrogation Group (HIG) is a U.S. intelligence-gathering group created by President Barack Obama in August 2009. Its charter was written in April 2010. It was established to question terrorism suspects soon after their arrests, to quickly obtain information about accomplices and terrorism threats. Farooque Ahmed is a Pakistani American from Ashburn, Virginia who was arrested by the Federal Bureau of Investigation for plotting to bomb Washington Metro stations at Arlington cemetery, Pentagon City, Crystal City and Court House. He was charged with attempting to provide material support to a designated terrorist organization, collecting information to assist in planning a terrorist attack on a transit facility, and attempting to provide material support to terrorists. On April 11, 2011, he was sentenced to 23 years in prison after pleading guilty. The 2010 Portland car bomb plot involved an incident in which Mohamed Osman Mohamud, a Somali-American student, was arrested in an FBI sting operation on November 26, 2010, after attempting to set off what he thought was a car bomb at a Christmas tree lighting in Portland, Oregon. He was charged with attempting to use a weapon of mass destruction. An attorney for Mohamud argued that his client was entrapped. On January 31, 2013, a jury found Mohamud guilty of the single charge against him. He was scheduled to be sentenced on December 18, 2013, however the sentencing was cancelled in anticipation of the filing of new motions by the defense. In September 2014, Mohamud was sentenced to 30 years in federal prison with credit for time served, as well as lifetime supervision upon release in 2040. Samir ibn Zafar Khan was the Pakistani American editor and publisher of Inspire magazine, an English-language online magazine reported to be published by al-Qaeda in the Arabian Peninsula (AQAP). A citizen of the United States, he was killed in a drone strike in Yemen together with Anwar al-Awlaki. A pressure cooker bomb is an improvised explosive device (IED) created by inserting explosive material into a pressure cooker and attaching a blasting cap into the cover of the cooker. On December 11, 2017, a pipe bomb partially detonated in the subway station adjoining the Port Authority Bus Terminal in Midtown Manhattan, New York City, injuring four people including the suspect. Mayor Bill de Blasio described the incident as "an attempted terrorist attack". The suspected bomber was identified by police as 27-year-old Akayed Ullah, a Salafi Muslim immigrant from Bangladesh. 1 2 3 4 5 6 7 8 9 10 11 12 13 CNN Wire Staff (May 4, 2010). "Times Square suspect had explosives training, documents say". CNN. Archived from the original on 2010-05-04. Retrieved May 4, 2010. 1 2 3 4 5 Clifden Kennedy (May 4, 2010). "Faisal Shahzad Charged with Five Counts, Admits Training in Pakistan". CBSNews.com. Archived from the original on 2013-01-19. Retrieved 2010-05-04. 1 2 Rashbaum, William K.; Al Baker (May 4, 2010). "Smoking Car to an Arrest in 53 Hours". New York Times. Archived from the original on 2010-05-05. Retrieved May 5, 2010. 1 2 3 Hsu, Spencer S.; Jerry Markon; William Branigin (May 4, 2010). "Probe in failed Times Square attack focusing on Pakistani Taliban". The Washington Post. Archived from the original on 2010-10-23. Retrieved May 5, 2010. ↑ "United States of America v. Faisal Shahzad" (PDF). CBS News . Archived (PDF) from the original on 2012-10-26. Retrieved 2010-05-06. 1 2 Mazzetti, Mark; Sabrina Tavernise; William K. Rashbaum (May 5, 2010). "Times Square Bomb Suspect Waives Rapid Court Hearing". The New York Times. Archived from the original on 2010-05-05. Retrieved May 5, 2010. ↑ Condon, Stephanie (May 4, 2010). "Faisal Shahzad Was Read Miranda Rights After Initial Questioning". CBS News. Archived from the original on 2013-01-19. Retrieved 2010-05-05. ↑ Bray, Chad (October 5, 2010). "Times Square Bomber Gets Life Sentence". The Wall Street Journal. Archived from the original on 2017-12-01. Retrieved October 5, 2010. 1 2 3 4 5 6 7 8 9 10 11 12 13 14 15 16 17 18 19 20 21 22 23 24 25 26 27 28 29 Elliott, Andrea (May 15, 2010). "For Times Sq. Suspect, Long Roots of Discontent". NYTimes.com. Archived from the original on 2010-05-21. Retrieved May 16, 2010. ↑ Hussain, Zahid (May 4, 2010). "Dispatch From Pakistan: Shahzad Visited Peshawar in 2009". Wall Street Journal. Islamabad, Pakistan . Retrieved May 4, 2010. 1 2 3 Barron, James; Michael S. Schmidt (May 4, 2010). "From Suburban Father to a Terrorism Suspect". The New York Times. Archived from the original on 2010-05-07. Retrieved May 4, 2010. ↑ Hussain, Zahid (May 5, 2010). "Lapses Allowed Suspect to Board Plane". The New York Times. Archived from the original on 2010-05-05. Retrieved May 5, 2010. ↑ Javed Aziz Khan; Mushtaq Paracha (May 5, 2010). "Faisal Shahzad's father vacates Peshawar house". Pakistan: The News International. Archived from the original on May 9, 2010. Retrieved May 5, 2010. ↑ Ashraf Khan; Riaz Khan (May 4, 2010). "Several arrested in Pakistan". CNews. Associated Press. Archived from the original on January 15, 2013. Retrieved May 5, 2010. ↑ Julie McCarthy, "In Pakistan, Shahzad's Family, Friends Express Dismay" Archived 2017-12-01 at the Wayback Machine , National Public Radio, May 5, 2010: The village of Mohib Banda, in Pakistan's Northwest Frontier Province, is the ancestral family home of Faisal Shahzad, the alleged Times Square bomber. ... Ahmed is the former mayor in Mohib Banda and a close friend of Shahzad's father, retired Vice Air Marshal Baharul Haq. Ahmed says the case of Faisal Shahzad is a shame on the village, and tragic for the family. "This is a tragedy for me and every Pakistani, every Pashtun", he says. ↑ Times Square Bomb Arrest Raises U.S. Security Questions Archived 2010-05-06 at the Wayback Machine , Time , by Tony Karon with Massimo Calabresi and Mark Thompson. May 5, 2010. ↑ "Family, friend of Shahzad held in Pakistan". Indian Express. May 5, 2010. Retrieved October 17, 2010. ↑ Kaylan, Melik (May 6, 2010). "Immigration, Terror And Assimilation". Forbes.com. Archived from the original on 2010-05-08. Retrieved May 10, 2010. 1 2 Deutsch, Kevin (April 28, 2010). "Times Square bomb suspect Faisal Shahzad 'was just a normal dude' before making neighbors suspicious". New York: The New York Times . Archived from the original on 2010-05-07. Retrieved May 6, 2010. ↑ "CNews Several Arrested in Pakistan". Cnews.canoe.ca. May 2010. Archived from the original on January 15, 2013. Retrieved May 7, 2010. 1 2 3 4 WSJ Staff (May 4, 2010). "Faisal Shahzad's Life in America and Path to Citizenship". Wall Street Journal . Archived from the original on 2010-05-07. Retrieved May 4, 2010. ↑ "Times Sq. Plotter A 'Lone Wolf' – Or Not?". New York: Nydailynews.com. May 7, 2010. Archived from the original on June 19, 2012. Retrieved May 12, 2010. 1 2 "The private life of Faisal Shahzad". The Week. May 7, 2010. Archived from the original on 2010-05-10. Retrieved May 11, 2010. 1 2 3 Barron, James (May 5, 2010). "Shahzad's Friends Describe a Growing Seriousness". NYTimes.com. Archived from the original on 2010-05-09. Retrieved May 6, 2010. 1 2 Barron, James (May 4, 2010). "Suspect in Times Square Bomb Case Became Citizen After 10 Years in U.S." NYTimes.com. Archived from the original on 2010-05-07. Retrieved May 4, 2010. ↑ "Huma Mian, wife of terror suspect, attended CU - Boulder Daily Camera". Archived from the original on 2013-12-24. Retrieved 2013-12-21. ↑ "Faisal Shahzad 'Blended In' Until He Quit Job, Returned To Pakistan - Hartford Courant". Archived from the original on 2013-12-24. Retrieved 2013-12-21. ↑ Illescas, Carlos (May 5, 2010). "Terror suspect's wife Huma Mian attended University of Colorado". Denver Post. Archived from the original on 2013-12-24. Retrieved 2013-12-21. ↑ "Wife of Times Square terror suspect Faisal Shahzad a CU-Boulder grad - Longmont Times-Call". Archived from the original on 2013-12-24. Retrieved 2013-12-21. ↑ "The Would-Be Bomber's Wife". Archived from the original on 2013-12-24. Retrieved 2013-12-21. ↑ "Terror on a budget: Times Square car bomb plot could have cost as little as $7,000". FOXNews.com. May 8, 2010. Archived from the original on 2011-08-05. Retrieved May 10, 2010. ↑ James Barron; Michael S. Schmidt (May 5, 2010). "From Suburban Father to a Terrorism Suspect". New York Times. Archived from the original on 2010-05-07. Retrieved 2017-02-24. 1 2 3 Rashbaum, William K.; Mark Mazzetti; Peter Baker (May 4, 2010). "Arrest Made in Times Square Bomb Case". The New York Times. Archived from the original on 2010-05-05. Retrieved May 4, 2010. ↑ Daniel Trotta; Zeeshan Haider (May 4, 2010). "NY bomb suspect said to admit plot, Pakistan training". Reuters. Archived from the original on 2010-05-07. Retrieved May 5, 2010. ↑ Lane, Charles. "PostPartisan – Faisal Shahzad: violent fanatic, or unhappy homeowner?". Voices.washingtonpost.com. Retrieved May 9, 2010. 1 2 3 CBS/AP (May 4, 2010). "Faisal Shahzad Kept Low Profile in U.S." Terrorism in the US. CBS News. Archived from the original on 2010-05-06. Retrieved May 5, 2010. ↑ Waraich, Omar (May 6, 2010). "Faisal Shahzad Bomb Inquiry Looks at Pakistan Training". Time. Archived from the original on 2010-05-11. Retrieved May 11, 2010. ↑ Garrett, Major; Catherine Herridge; Mike Levine; the Associated Press (May 3, 2010). "American Who Recently Visited Pakistan Eyed in Times Square Bomb Plot". Fox News. Archived from the original on 2010-05-05. Retrieved May 5, 2010. 1 2 Gendar, Alison; James Gordon Meek; Rocco Parascandola; Corky Siemaszko; Stephanie Gaskell (May 4, 2010). "Faisal Shahzad, Times Sq. bomb suspect, nabbed within 'minutes' of escape; 2 held in Pakistan". New York Daily News. Archived from the original on 2012-04-28. Retrieved 2010-05-04. ↑ Gendar, Alison; James Gordon Meek; Rocco Parascandola; Corky Siemaszko (May 3, 2010). "Pakistani-American Faisal Shahzad, suspect in foiled Times Square bomb plot, arrested at JFK". New York Daily News. Archived from the original on 2010-05-05. Retrieved May 5, 2010. ↑ CNN Wire Staff (May 5, 2010). "'I was expecting you,' bombing suspect tells agents". CNN. Archived from the original on 2010-05-05. Retrieved 2010-05-05. 1 2 3 4 5 Shane, Scott (May 4, 2010). "Lapses Allowed Suspect to Board Plane". The New York Times. Archived from the original on 2010-05-09. Retrieved May 5, 2010. 1 2 "Latest Updates: Times Square car bomb scare". CNN Blogs. CNN. May 4, 2010. Archived from the original on May 6, 2010. Retrieved May 4, 2010. ↑ Scherer, Ron (May 4, 2010). "Times Square bomber probe: Did Faisal Shahzad act alone?". New York: Christian Science Monitor. Archived from the original on 2010-05-07. Retrieved May 4, 2010. ↑ Baker, Peter (May 4, 2010). "A Renewed Debate Over Suspect Rights". The New York Times. Archived from the original on 2010-05-05. Retrieved May 5, 2010. ↑ "Complaint filed in Federal Court" (PDF). CNN. May 4, 2010. Archived (PDF) from the original on 2010-06-01. Retrieved May 5, 2010. ↑ "Times Square bomb accused Faisal Shahzad pleads guilty". BBC News . June 21, 2010. Archived from the original on 2010-06-21. Retrieved June 22, 2010. ↑ Rubin, Jim (May 4, 2010). "Times Square Suspect Admits Involvement, Holder Says (Update1)". Bloomberg BusinessWeek. Archived from the original on 2010-05-07. Retrieved May 4, 2010. ↑ [Indo-Asian News Service]. "Taliban's suicide-bomb trainer tutored NYK bombing suspect" Archived June 6, 2011, at the Wayback Machine , Hindustan Times, May 6, 2010. ↑ "Pakistan faces Taliban resurgence". BBC News. March 28, 2010. Archived from the original on 2010-05-13. Retrieved May 12, 2010. ↑ Matthew Rosenberg (December 16, 2009). "Pakistan Resists Role Across the Border". The Wall Street Journal. Archived from the original on 2017-12-01. Retrieved 2017-08-03. 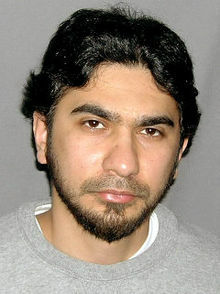 ↑ "Faisal Shahzad on Homeland Security List since 1999" Archived 2012-04-28 at WebCite , CBS News, May 5, 2010. ↑ May 12, 2010. "Asia Times Online: South Asia news, business and economy from India and Pakistan". Atimes.com. Retrieved May 12, 2010. ↑ McElroy, Damien (May 7, 2010). "Times Square bomb suspect had links to terror preacher". London: Telegraph. Archived from the original on 2010-05-10. Retrieved May 7, 2010. ↑ "Times Square Suspect Contacted Radical Cleric". Myfoxdetroit.com. May 1, 2010. Archived from the original on May 12, 2011. Retrieved May 7, 2010. ↑ "Faisal Shahzad Had Contact With Anwar Awlaki, Taliban, and Mumbai Massacre Mastermind, Officials Say – ABC News". Abcnews.go.com. Archived from the original on 2010-05-09. Retrieved May 7, 2010. 1 2 3 "Times Square Would-Be Bomber Vowed Revenge in Video, Al-Arabiya Reports". Bloomberg. July 14, 2010. Archived from the original on 2010-07-18. Retrieved July 15, 2010. ↑ "Faisal Shahzad made suicide video – Al Arabiya airs failed Times Square bomber tape". Al-Arabiya. July 14, 2010. Archived from the original on 2010-07-17. Retrieved July 15, 2010. ↑ "Pakistani Behind Failed NYC Bombing Sentenced". Voice of America . October 5, 2010. Archived from the original on 2010-10-05. Retrieved October 5, 2010. ↑ "Faisal Shahzad Sentenced in Manhattan Federal Court to Life in Prison for Attempted Car Bombing in Times Square". FBI – New York Field Office. October 5, 2010. ↑ "FOR IMMEDIATE RELEASE: Faisal Shahzad Pleads Guilty in Manhattan Federal Court to 10 Federal Crimes Arising from Attempted Car Bombing in Times Square". DOJ – Office of Public Affairs. June 21, 2010. Archived from the original on 2014-04-12. Retrieved 2014-03-22. ↑ Smith, Sebastian. "Defiant Times Square bomber jailed for life". Agence France-Presse . Retrieved October 5, 2010. 1 2 "Times Square Bomber Faisal Shahzad Sentenced To Life". ABC News. October 5, 2010. Archived from the original on 2010-10-08. Retrieved October 17, 2010. ↑ Baum, Geraldine (October 5, 2010). "Times Square bomber gets life sentence; warns of more attacks". Seattle Times. Archived from the original on June 22, 2011. Retrieved October 17, 2010. ↑ Deborah Feyerick (October 5, 2010). "Times Square bomb plotter sentenced to life in prison". CNN. Archived from the original on 2010-10-06. Retrieved October 17, 2010. ↑ Feyerick, Deborah (October 5, 2010). "Times Square bomb plotter sentenced to life in prison". CNN . Archived from the original on 2010-10-06. Retrieved October 5, 2010. ↑ Hasan, Mehdi (December 28, 2010). "US drone attacks are no laughing matter, Mr Obama". London: GuardianUK News. Archived from the original on 2013-09-20. Retrieved December 29, 2010. ↑ "The Deceptive Debate Over What Causes Terrorism Against the West". The Intercept. Archived from the original on 2016-01-06. Retrieved 2016-01-07. Wikimedia Commons has media related to Faisal Shahzad . "NY Bomb Suspect Seen As Good Recruit For Militants". NPR . May 5, 2010. Archived from the original on May 10, 2010. "Times Square Bomb Attempt Puts Focus On Pakistan". NPR . May 6, 2010.